The Optical Society (OSA) and the OSA Foundation have established an award honoring the late Michael S. Feld, a visionary in the field of biophotonics. Fundraising efforts to permanently endow the Michael S. Feld Biophotonics Award have begun, OSA said, and will honor professor Feld’s fundamental contributions to solving biomedical problems through laser science and applied physics. Michael Feld. Courtesy of OSA. Feld, who died in 2010 after an eight-year struggle with multiple myeloma, founded MIT’s Laser Biomedical Research Center in 1985 with support from the National Institutes of Health. He served as the center’s director until his death and, for more than 30 years, also led the G.R. Harrison Spectroscopy Laboratory and the MIT Laser Research Center. Feld’s early research spanned molecular and atomic spectroscopy, laser-nuclear interactions, and dynamical and radiative processes. In 1973, he made the first experimental observation of superradiance; in 1987, his study of the radiation of a single, isolated atom in an optical resonator led to the development of the single atom laser. His later research was directed to studies of laser biomedicine. At the Laser Biomedical Research Center, his work focused on the use of fluorescence and Raman spectroscopy to diagnose tissues and image diseases via endoscopy and optical tomography, leading to numerous accomplishments and pioneering work in the field, including diagnosing atherosclerosis and detecting breast cancer; noninvasive glucose measurements; detecting precancerous changes in the colon, esophagus, oral cavity and cervix; detecting neural activity; 3-D imaging of cells; and detecting malaria. The Feld award, which will be presented annually beginning in 2013, will recognize individuals for innovative and influential contributions to the field of biophotonics, regardless of career stage. The scope of the award encompasses all areas of biophotonics, from fundamental optics discoveries in biology to the development of new theoretical frameworks and novel instrumentation to clinical translational research for biomedicine. Nominations are now being accepted. They are initiated by OSA members and reviewed by a committee of topical experts whose recommendations are submitted to the OSA Awards Committee. 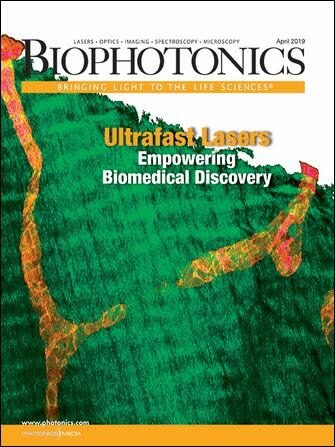 For more information on the fundraising efforts for the Michael S. Feld Biophotonics Award, including how to donate, visit the OSA Foundation’s website: http://www.osa-foundation.org.